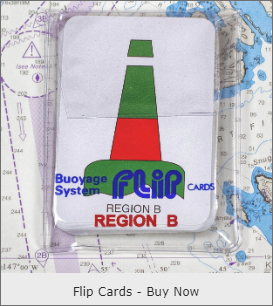 Flip Cards - A proven Self Instruction Learning System for Mariners. 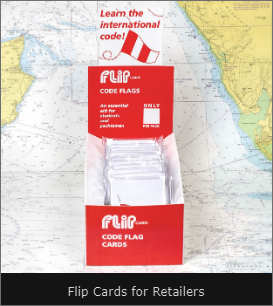 Flip Cards is a system of learning using playing card sized Flash Cards that has been developed over more than 40 years to be the most effective and simple method of learning and checking knowledge of maritime systems, codes and nautical rules. 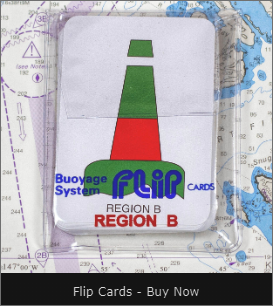 Invaluable for all mariners (especially those taking the excellent RYA YachtmasterTM, Coastal Skipper, Day Skipper and Competent Crews courses), students, navy cadets and professional seamen who are studying for a qualification or who wish to increase their understanding of sailing and marine procedures. All cards are available to purchase online, here and now. Our checkout system is simple, and credit card payments secure. 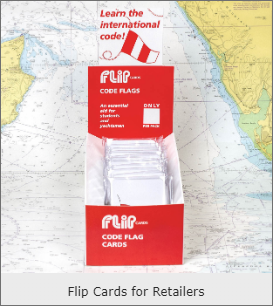 We are confident you will find Flip Cards both effective learning tools and enjoyable to use.